I have come up with my own meme, Film Friday. Every week I will talk about a movie that is being adapted from a book. I will update you with news of the upcoming film and hopefully give you either an official trailer or a fan made trailer. This week's Film Friday is about the movie adaptation of the best selling novel, Avalon High by Meg Cabot. Who is excited about the premiere of Avalon High: The Movie? I have to say that sadly I am not. 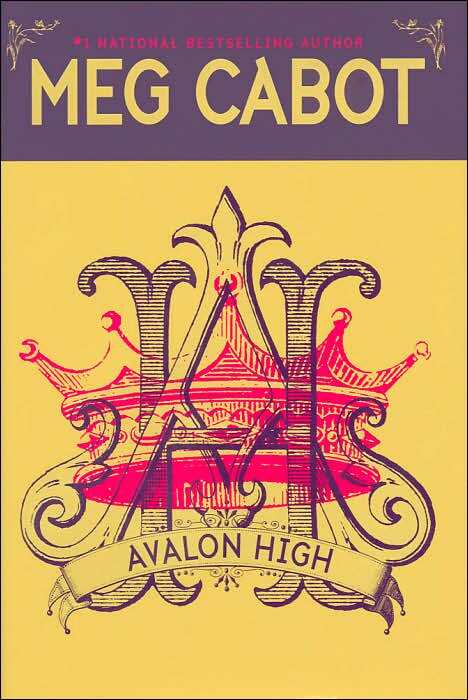 I absolutely love the book, I love all of Meg Cabot's books, but Avalon High is going to be a Disney Channel Original Movie. Disney Channel is not where I pictured King Arthur and the Lady of the Lake! I have to admit, I kind of like the actor who is playing Will. The teaser pictures look amazing, but I still can't get over the fact that it is a Disney Channel movie. If it was Disney Animation movie, I would be okay with that, but the Disney Channel doesn't float my boat when it comes to original movies. For those of you who do like DCOM's, it premieres in eight days! Here is information about the actors. To find out more, visit Meg Cabot's website HERE, or the movie's IMDb page HERE. Ellie Pennington: Playing the main character, Ellie, is Brittany Robertson. You may have seen her as Cara in Dan in Real Life, or as Lux Cassidy in the new television series, Life Unexpected. I think she fits the role well in terms of how I pictured Ellie physical. Hopefully she is a good actor and will help save the movie from being a typical DCOM. Will Wagner: In the book, Will is the class president, Quarterback of the football team, and Ellie's romantic costar. Although Gregg Sulkin is from England, he has a pretty good American accent. According to an interview of him on Clevver tv, he has been working on perfecting it for months with several voice coaches. He seems like a nice guy, just like the character he is playing in Avalon High. You may have seen him in Wizards of Waverley Place or in the feature film, Sixty Six when he was just thirteen years old. Avalon High, I was starting to think, might not be so bad after all. Maybe it's not where Ellie wants to be, but if you have to start at a new school, Avalon High is typical enough: There's Lance, the jock. Jennifer, the cheerleader. And Will, senior class president, quarterback, and all-around good guy. But not everyone at Avalon High is who they appear to be . . . not even, as Ellie is about to discover, herself. As a bizarre drama begins to unfold, Ellie has to wonder, what part does she play in all this? Do the coincidences she's piecing together really mean—as in King Arthur's court—that tragedy is fast approaching for her new friends? This might be one movie I just have to avoid. I loved Avalon High, and I'm sad to see it become a Disney Channel Original. You'll have to let me know what you think! I agree with you... I can't decide if I want to watch it or not. I am a 23-year-old Graduate Student working towards my Masters in English, and I have had a passion for reading since I can remember. My love for books began with Harry Potter, and while my passion for reading has grown to encompass many different genres, Young Adult books still hold a special place in my heart. 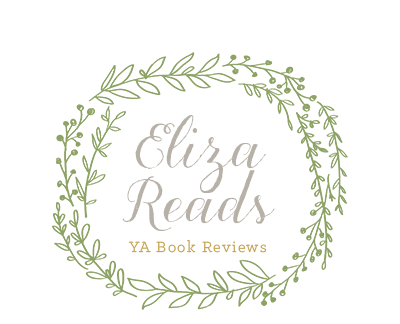 Young Adult literature has grown rapidly to engage with many different themes and genres that teenagers, young adults, and adults alike are able to connect with, and I love to follow the different themes that captivate audiences in the YA world. In My Mailbox + Affiliate News! Crazy for Books: Book Blogger Hop!